Viper Total Information Solutions Inc.
Viper Solutions is a data management consulting firm. It seeks to provide its clients with solutions that offer the most optimal systems for managing and protecting business information. It provides integrated threat management systems, continuous data protection (CDP), and backup-storage-retrieval systems. These ensure uninterrupted business processes and transactions – business continuity, real time. Viper Solutions protected its clients from data-related issues potentially plague financial institutions. These include corruption of server data, human error in implementing processes and procedures, accidental deletions, data anomalies, viruses, or hardware failure. Financial institutions in particular inevitably require high capacity backup windows. During system maintenance, poorly executed checklists are often used for database servers. These lead to burdensome operational loads. It also causes strain on the company’s bandwidth. Metrobank Card is a credit card company that is a joint venture between Metropolitan Bank & Trust Company (Metrobank), the largest and no. 1 bank in the Philippines, and Australia New Zealand Banking Group Limited (ANZ), one of the world’s top 100 banks with global presence spanning 29 countries. 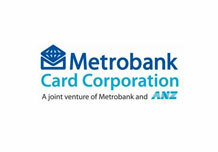 Metrobank Card is among the top 3 companies in its market in the Philippines and the only local company competing in the international market. Metrobank Card was protected by Viper Solutions from loss of transactional data through employing Xosoft WansyncHA with AR, which provided high availability, synchronous real time replication, continuous data protection and data rewinder capabilities that effectively prevented data corruption. The system developed also provided automated application failover and failback designed to ensure business continuity. 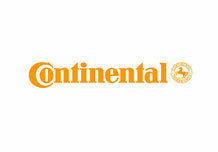 Viper Solutions provided Continental Temic with a system for data integration. The client benefited from fast and reliable data retrieval. Continental Temic is in the business of “intelligent mobility” or the production of vehicle components designed to make them communication-capable with the end view of maximizing passenger safety. Among its products are electronic and hydraulic brakes, stability and chassis control systems, electronic air suspension systems, engine management and transmission control systems, sensors, driver assistance systems, telematics, body and security electronics, hybrid drives, electric motors and radiator fans. These together inevitably produce complex systems when put together. Another inevitable consequence is the enormous amount of production data created and that needs to be managed. Viper Solutions enabled Continental Temic to avoid system slowdowns in spite of the various complex systems it already had coupled with systems that it recently acquired. In addition, the transition in introducing new servers was smooth when integrated to the company’s legacy platforms. The solution used was Arcserve Brightstor, which is a tool that offers a world class carrier-grade data protection solution that supports a wide range of hardware and application platforms including end-to-end protection of all data and integration of different platforms, hardware, and operating systems. Data protection tasks are also streamlined, which minimizes the potential negative impacts of backup activities thereby further easing day-to-day operations. Viper Solutions provided the Philippine Army with an information security solution that is flexible, modular, open, and with an extensible architecture. 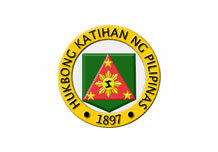 This allowed the Philippine Army to respond to the constant and rapid changes in the information security environment including protection from innumerable viruses and malware. Viper offers Best of Breed solutions to effectively enforce threat management. L’Oreal Philippines is able to effectively manage and analyze large volumes of data through Viper Solutions, which provided an easy-to-use and automated central monitoring tool. Being a leading cosmetics company, L’Oreal Philippines continuously serves its customers, among many ways, through responsive research and development. Extensive cosmetics research that put in consideration human diversity produced both good products and large research data on said products. 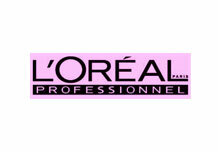 Viper Solutions provided L’Oreal Philippines with an intelligent system for monitoring of resources that bested utility tools that were bundled with servers. Following thorough data and needs analyses for L’Oreal Philippines, introduced was PowerAdmin's Server Monitor, a powerful yet simple solution that monitored servers and all network-attached hardware. Disk storage in network and local servers were managed to provide deep insights useful for large quantities of information terabytes in size. Copyright © 2009 Viper Total Informaion Solutions, Inc.